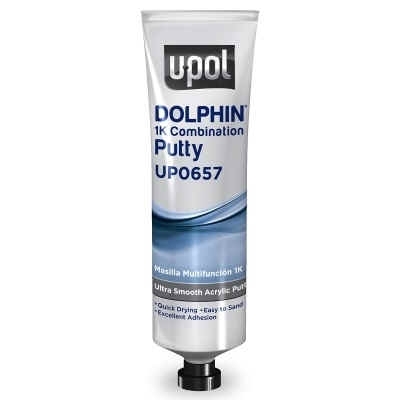 DOLPHIN 1K COMBINATION PUTTY is convenient and ready to use - no hardener required! Perfect for surface imperfections and pinholes, especially last minute situations. Use straight from the tube- No hardener or mixing required!